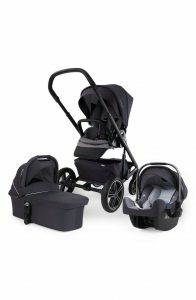 Bugaboo is known for its luxury all terrain strollers that normally have unique features and the Bugaboo Buffalo isn’t any different. 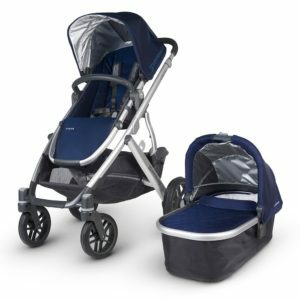 This stroller comes with a matching bassinet and it is an everyday stroller that has been designed for those active parents who are constantly shopping, running errands, and heading for walks in the park. The tires are foam filled and shock absorbing that is able to handle all sorts of terrain which gives your little on a smooth ride. If you have to deal with rough terrain such as snow or sand, then you are going to love the two wheel mode. Not to mention that it actually has a pretty narrow frame that makes it great for using inside of stores. 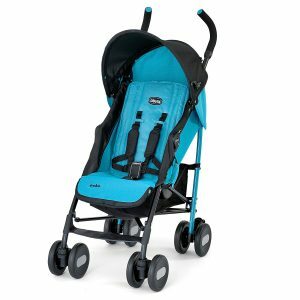 It also has some pretty nice features such as adjustable handle bar, large basket, one handrecline and a reversible seat as well as the large canopy that comes with this bugaboo model. You can use the seat from ages 6 months up to 50 pounds. If you are wanting to use it with your newborn, you simply switch out the seat for the bassinet and you will have a growing stroller to match your growing little one. 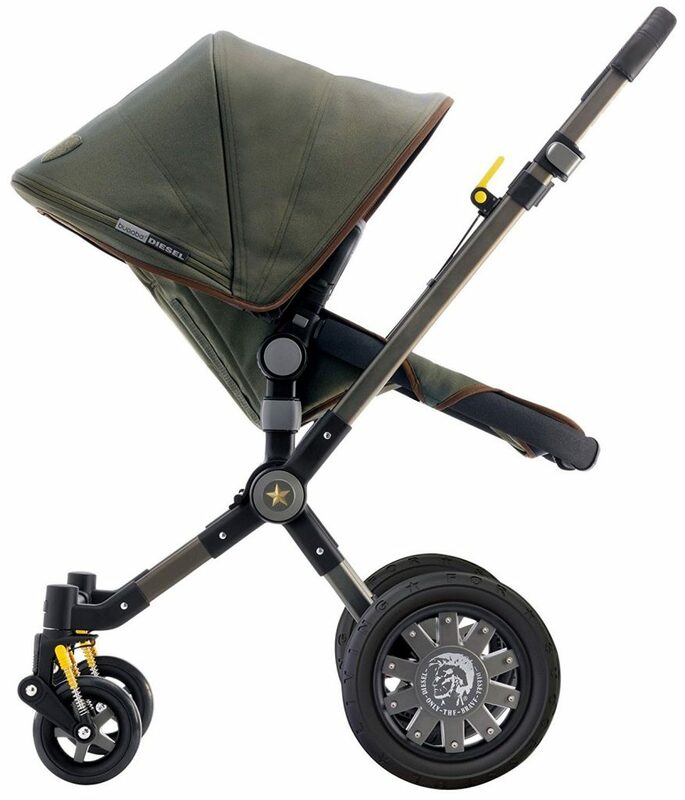 This unique feature will turn your stroller into a beautiful pram which is quite stylish and keeps you going. You can also use it as a travel system by getting the infant car seat adapter. 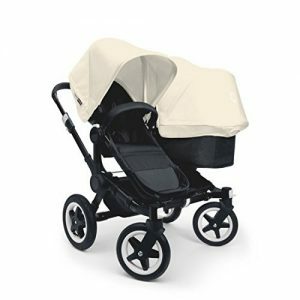 When you start looking at the functionality, you are going to notice that Bugaboo really decided to make it easy by making all of the functional sections of this stroller white in color. Even if you did not read the instructions, because let’s face it as parents we hardly have the time to, you can figure out how to easily adjust any of the parts of the stroller. I love the innovative and amazing design and features. There are a few downsides that could use a bit of improvement such as adding an adjustable leg rest, adding a peek a boo window and automatic lock. 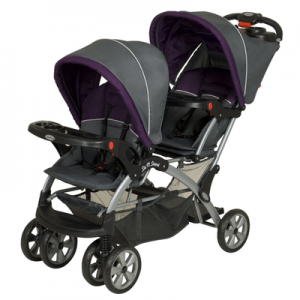 The canopy does also sit much lower than that of other types of strollers that are on the market. When you fold it up, it is pretty bulky, but because it has all terrain type of wheels, it is something that anyone can easily overlook. Another thing that many people may have an issue with when it comes to the Bugaboo Buffalo is going to be the price. This model is designed for parents who have plenty of money to spend. If youare looking to get this stroller, then you are going to be spending around $1200. Now it does come with the matching bassinet, bumper bar, and rain cover. If you are looking for a child’s tray and cup holder, you will have to purchase those separately. Now let’s get into a bit more detail about this stroller. The huge canopy is a great plus. Bugaboo finally listened to the complaints about the canopy issues. 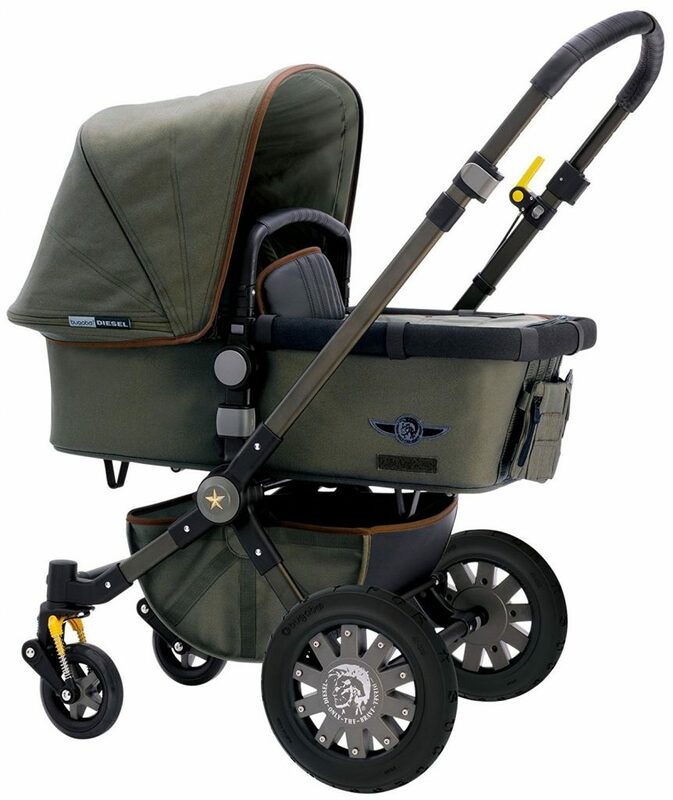 The Bugaboo Buffalo has a canopy that is three panels that has an additional zipped panel. It is quite huge and it covers the bumper bar. It will shade your little one during any time of the day and the canopy will still be attached to the back of the seat and it does not convert into those nasty floating canopies. Even though there is not a peek a boo window, the canopy size has really increased. The adjusting handle bar is another great feature as it goes from 36 inches to 44 inches from the ground. This is the longest extension for a handle bar within the Bugaboo line. What is nice is that it has 2 small hooks that are on the handle bar that you can hang your diaper bag on. It can handle up to 13 pounds of weight on the handle bar. This is one feature that is unexpected but quite nice. It also has a run away strap which means that if you happen to lose your grip on the handle bar, your stroller won’t get away from you. This is a great safety feature to have on any stroller. The strap itself is not that long, so it is definitely worth the thought. It also comes with a reversible seat. You can reverse the seat by pulling on the white levers to unlock the seat and swing it around to put it in place. You can use the one hand level to recline the seat into 3 reclining positions in both forward facing and rear facing. Because the seat is one piece, it will keep its V shape when it is reclined. The canopy and seat materials are machine washable which make it great to clean for spills and messes. It also has a 5-point seat harness. This harness can be adjusted easily and has a center release buckle that you will have to push on both sides to be able to unlock it. You won’t have to rethread the harness and it is easily adjustable. You just have to move the clip on the strap down and up to the right height. This is perfect because you can do it on the go without having to take your little one out of the seat to do it. 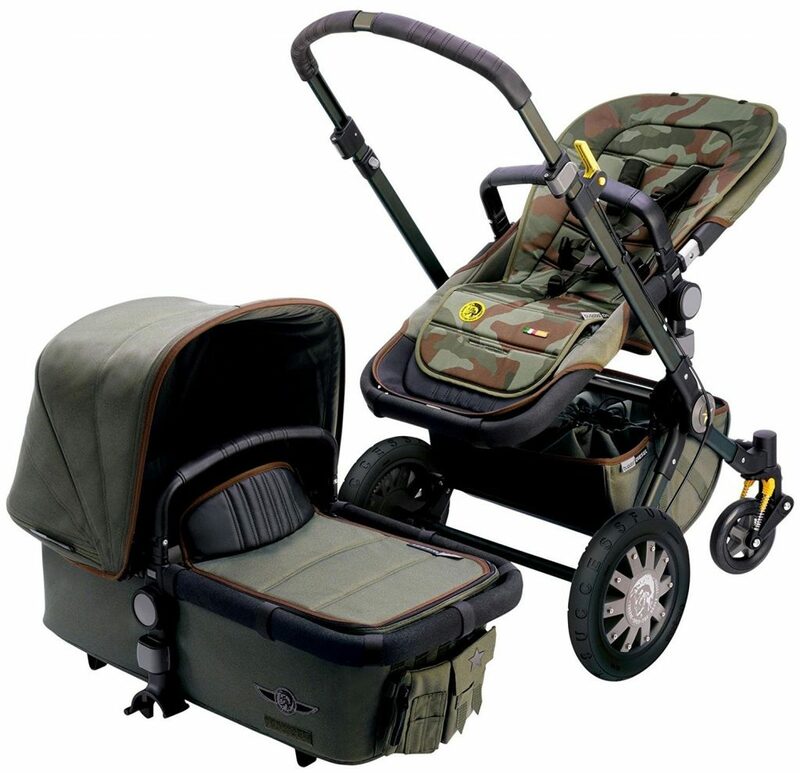 It also comes with the bumper bar which also works as a carrying handle for the bassinet. It has a large basket that can hold up to around 22 pounds and is actually easy to access. You can fit a large diaper bag and your purse in it. Another great thing about it is that it has a large elastic pocket where you can put your smaller mom items like Tylenol, keys, and wallet in. It does come a red foot pedal brake. Truth is, it is not flip flop friendly at all. Another good thing about the Bugaboo Buffalo is that it has a 3-year warranty from your purchase date but you will have to be the original owner. 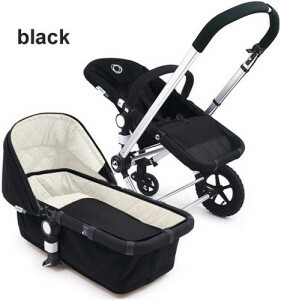 It also comes in black and sand base colors with 6 canopy colors of off-white, royal blue, petrol blue, pink, red, and black and the frame base for the stroller is silver. Overall, even though this stroller has a steep price tag, you are getting what you pay for and that is quality.